Our Jacksonville Jaguars Garden Flag and Stand kit includes a 13"x18" officially licensed garden flag and garden flag stand with two rubber stoppers. The garden flag stand is the recommended accessory to display your garden flag anywhere in your garden, yard, flower pots, or at the front entrance to your home. 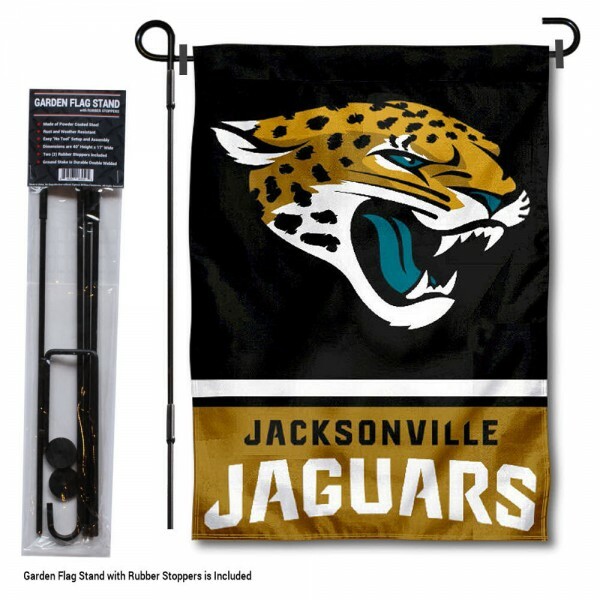 A perfect gift, our Jacksonville Jaguars Garden Flag and Stand kit includes the recommended flag stand hardware so it's easy to install and ready to fly proudly!